At the interface between humans and machines, alarm indicator and operator panels play a key role. Their task consists in emitting a visual and acoustic alarm and converting information from the system into comprehensible operating and handling instructions. This applies in particular to critical operating situations. 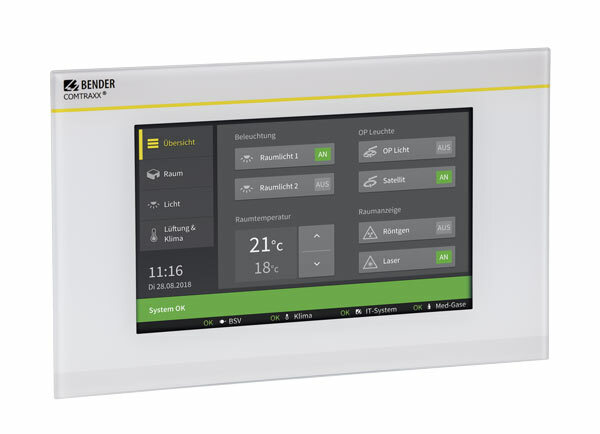 The CP9xx Control Panel offers the user a solution that meets the requirements of modern medical locations as well as industrial und purpose-built buildings. The CP9xx series can be used in projects from Q3/2019. Scope of delivery: display unit, flush-mounting enclosure incl. mounting plate with electronics, CP9xx connecting cable and plug connector kit.